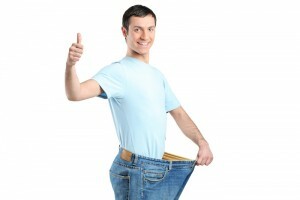 How Can Gastric Bypass Surgery Affect Diabetes? Millions of people suffer from type-2 diabetes, the most common form of the condition. Unfortunately, type-2 diabetes is also one of the most common comorbid conditions associated with severe obesity. The good news is: weight loss surgery can significantly reduce obesity-related health conditions such as type-2 diabetes, gastroesophageal reflux disease, high blood pressure, sleep apnea, and others. When it comes to type-2 diabetes, one bariatric surgery option in particular has shown to virtually eliminate the disease in a large majority of patients: the Roux-en-Y gastric bypass procedure. Gastric bypass surgery is one of the most popular weight loss surgery treatments available, and has helped individuals the world over successfully lose large amounts of weight and start living healthier, happier lives. This procedure is known to result in a dramatic reduction of type-2 diabetes. In fact, gastric bypass surgery has been shown to produce total remission of the condition in at least 80 percent of patients. Recent research into gastric bypass surgery’s effect on diabetes may shed some light on how blood sugar levels seem to quickly go back to normal for many patients after the procedure. Gastric bypass surgery involves reshaping the stomach and re-routing the intestines to help patients feel full after eating less food. This also limits the body’s absorption of calories and nutrients. The research indicated that a molecule that helps the utilization of glucose in the body (which can decrease blood sugar levels) may be produced by the small intestine after it has been attached to the stomach pouch created during gastric bypass surgery. This could ultimately mean that blood sugar levels are beginning to improve before the patient has even begun losing weight. It’s an interesting theory as to why the reduction of type-2 diabetes happens so quickly for many gastric bypass patients; however, more research will need to be conducted in order to be sure. The bottom-line is: gastric bypass surgery has been shown again and again to reduce and even eradicate type-2 diabetes – a serious health condition that frequently afflicts individuals who suffer from severe obesity. If you would like more information on how bariatric surgery can minimize risks to your health and help you in the fight against obesity, or if you would like to schedule a consultation with Dr. James Parrish, please contact us today.